Can the fun bit start now? Please? 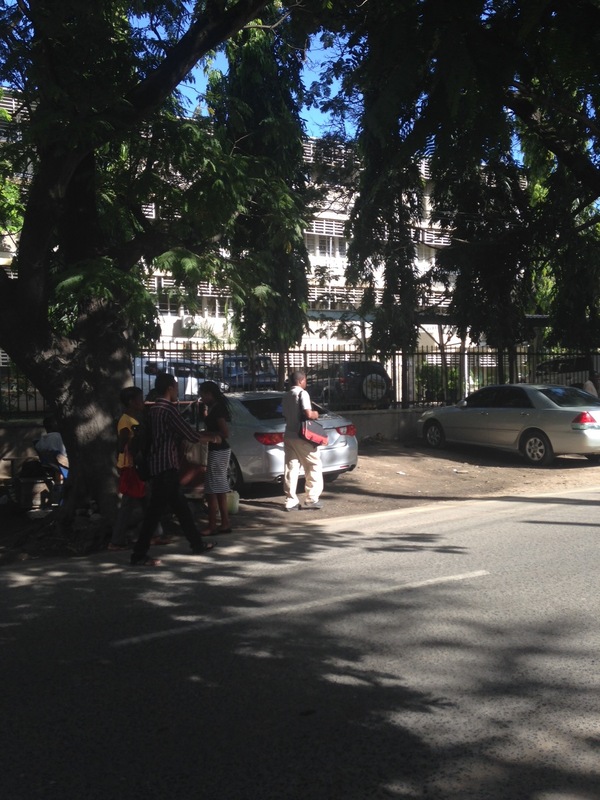 I was at the office of the Director of Preventive Services, Ministry of Health and Social Welfare at 7.45 this morning. 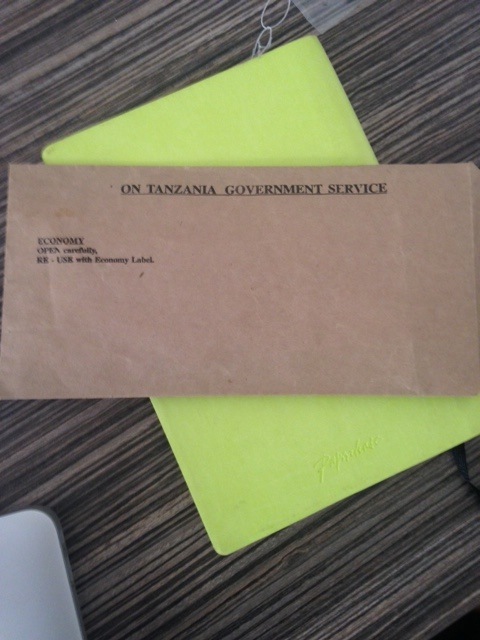 The office secretary beamed ‘we have your letter’ and handed me an envelope, I told her I loved her and gave her some cake to celebrate my 7th visit to the office this week and skipped to the Tanzanian Film Board just down the road on Samora Avenue. Things were looking up – I had my letter of support, my film permit was in reach. I strolled in to the Board offices with the polite swagger of a woman with an important letter. I march back down the Avenue and find myself back for now the 8th time this week. The secretary informs me I can just use the JICA letter, it doesn’t matter. I insist I am not Japanese or a representative of JICA so this could cause problems down the line. She pops into the Director’s office, and 2 minutes later with a big ‘pole sana’ produces the real letter, my letter! Hooray! I march back down the avenue and present the Board with the correct letter, my letter. Things are going well, I had submitted the rest of my paperwork back in October and was ready to pay. And then there was the muffle of conversation and a suggestion of COSTECH. I have run in to COSTECH before – they issue research permits. My ears prick up at this sensing I may need another letter, a letter that is not necessary as this is a film project not a research project. And I was only finding out about this now. Not good. I communicate this and the film board ask why I used the word ‘research’ (twice in a six page document I hasten to add) in my film synopsis if it wasn’t research. Damn my academic training! I explained it was a turn of phrase rather than a research project. Which is true. Fortunately for me my new favourite person Beatrice agreed to let me submit a revised synopsis and cover letter clarifying to the Board that this was not research. I love Beatrice for this. As it stands I have been chasing one letter all week, I have made introductions to numerous people, circulated many documents, run up and down Samora Avenue, and the permit is still pending because I may need another letter from an organisation that has no relevance to the film. But I sense progress. Merging doc and drama, social realism, and vulnerable people acting out their own lives was never going to be easy and was always going to entail a lot of paperwork convincing people that we plan to do no harm. Thank mango season for Whatsapp, as my friend Lucy messaged me ‘Lots of patience needed. Which will stand you in good stead for the rest of the project.’ Sometimes your friends all the way in Spain know exactly what to say and when to say it.